Species name meaning 'densely hairy'. 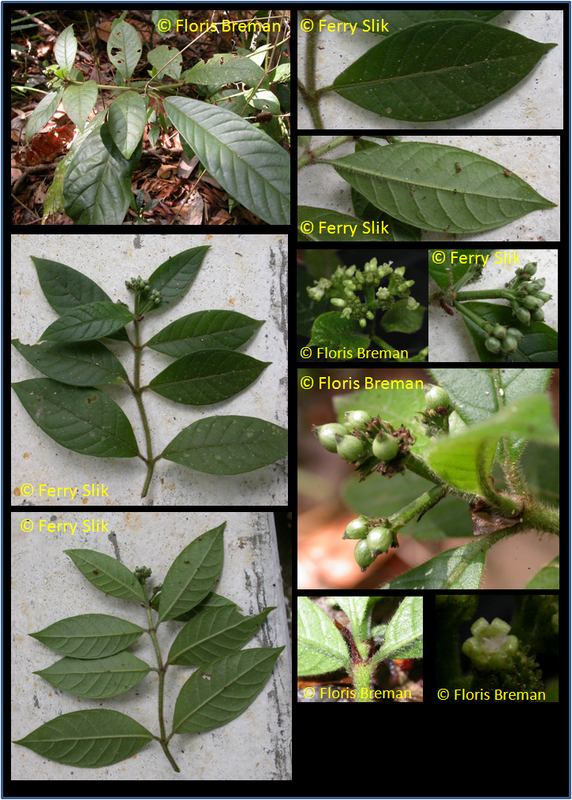 Psychotria laxiflora var. lepidota Korth. Small shrub. All parts densely hairy. Leaves opposite with elongate stipule between each pair of leaves. The leaves with ca. 9 secondary looping veins, very conspicuous on lower leaf surface. With terminal branched inflorescences. Flowers small, green-white. Fruits are berries filled with small seeds. In forest understoreys, at least up to 250 m elevation.